Movie trailers have become world wide source of entertainment and a good conversation start with people who love movies, I enjoy them myself but lately i have been avoiding trailers due to my realization of a few key things we all know trailers have a job to get its to put asses in seats on opening day which isn’t a bad thing my problem is about the trailers themselves before I get to that I would like to give you a very Brief History lesson. 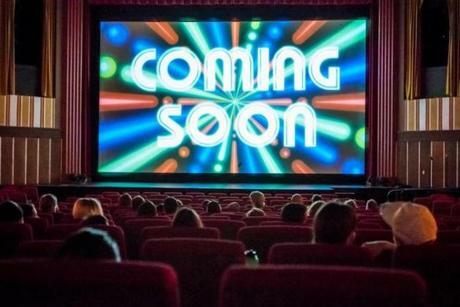 History: the first movie theater opened up in 1910 three years later in 1913 a man In New York City, Nils, Granlund, advertising manager of Marcus Loew theaters, made a short little promotional film for the Broadway play “Pleasure Seekers” showcasing actual rehearsal footage. The idea of showing ads between films was a hit. At the same time In Chicago a man named Col. William Selig, one of film’s earliest pioneers, would engineer another way to get audiences to the movies. Selig noticed the popularity of print serials in newspapers so he approached the Chicago Tribune, a newspaper embattled in a circulation ward for who could be the most sensationalist, to adapt a film version of a print serial. The result was a 13 episode serial entitled “The Adventures of Kathlyn” It is very interesting and amazing to know that the first two trailers ever were not even for movie however they help pave the way to get the movie trailers that we are enjoy know and love today. one more little piece of information in 1916 Movie studios started to take over promotions and filming for trailers before that they were all done by the movie theaters themselves, A lot of film historians and expert still debate about which year the first trailer was introduced 1913 or 1916. My other problem which is a huge down side in watching trailers other than being way to long is that they divulge way too much information of the movie there has been many movies that has left audiences extremely disappointed because most of the plot have been shown in the trailer which made me not like the movie cuz i already knew what was coming and if you do not believe me please read my list of a few movies watch the trailers then what the movie and let me know what you though if the trailer gave out way too much of the plot or have mess up a very important part of the movie. These are just a few examples their are an other 5,000 or more other movies way too many to list, but for Seasoned movie goers having a long trailer with so much of the plot can really damage the opinion of people seeing the movie plus it can and will detour them from seeing the movie all together. Let’s play a little game I’m going to take a trailer for a movie in show it in its entirety then I’m going to edit and show the shorter version of the trailer to see if this still gets the same reaction from people and the people was still go to see the movie based on the shorter trailer.please forgive me for any mistakes its my first time editing a video. So what do you think? I purposely left out the scenes with the Hulk Busters cuz I felt like they should have left that as a surprise for fans, & I really wanted to use the song Fight has one by Bad City they did the Avengers Earths Mightiest Heroes theme but I didn’t know how to add it in, and if any one from Marvel is reading this use that song in Avengers 3 or 4. So people what did you think of the short version did it give away too much or did it make you want or not want to see the Movie? Author gabriolusPosted on December 19, 2014 December 26, 2015 Categories Entertainment,Tags Cinema, Comming Attractions, Movie studios, movie theaters, Movie trailers, PreviewsLeave a comment on Trailers.